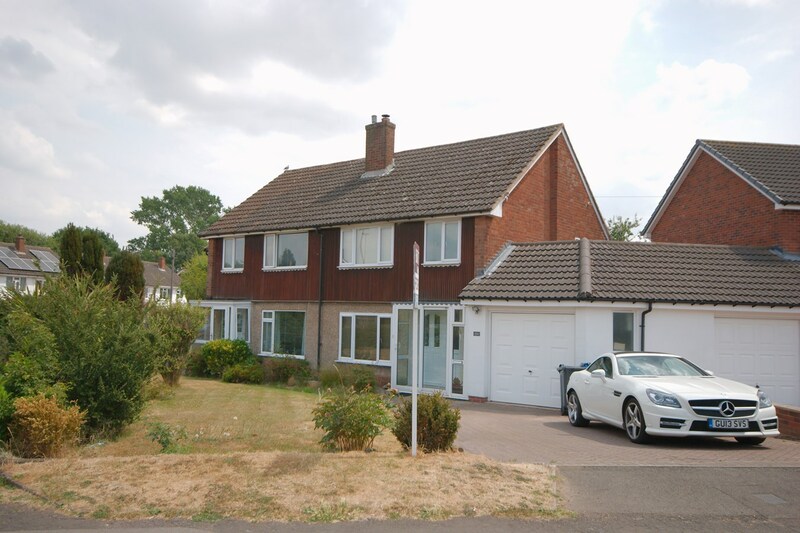 Situated on the rural fringe of Four Oaks, this extremely spacious three bedroom semi-detached traditional property is being sold with the benefit of no upward chain. The property is well cared for and boasts well planned accommodation throughout with a particular feature being the delightful rear garden which offers great maturity and privacy. The property also boasts an excellent sized lounge with archway through to the dining room, a fitted kitchen and useful covered side passageway leading to the garage. Upstairs there are three bedrooms and shower room. The area is extremely popular with family purchasers wanting easy access to the recently regenerated Mere Green centre with its excellent amenities including bars, cafes, restaurants, shops, supermarkets, doctors and library. There are excellent nursery, primary and secondary schools nearby and commuters benefit from easy road, bus and cross city rail services into Mere Green, Sutton Coldfield and Birmingham City centre for more extensive amenities. with easy tread staircase leading to first floor accommodation, door to understairs storage cupboard, coving to ceiling, radiator, two ceiling light points and doors to further ground floor accommodation. 3.35m x 2.80m (11' 0" x 9' 2") with UPVC double glazed door into rear garden. Radiator and ceiling light point. leading to the Garage which has a double door entrance. Door into a storage cupboard and UPVC double glazed window and door leading onto the rear paved patio area. Approached via an easy tread staircase from the reception hall leading to the First Floor Landing with frosted UPVC double glazed window to side aspect. Radiator, loft access with pull-down ladder, coving to ceiling, ceiling light point and doors to further accommodation. 3.33m x 4.25m (10' 11" x 13' 11") having a UPVC double glazed window to front aspect, radiator, coving to ceiling, ceiling light point and range of fitted bedroom furniture incorporating wardrobes and dressing table. 3.33m x 3.47m (10' 11" x 11' 5") having UPVC double glazed window to rear aspect, radiator, coving to ceiling, ceiling light point and fitted bedroom furniture. 2.89m x 2.70m (9' 6" x 8' 10") with UPVC double glazed window to front aspect, radiator, coving to ceiling, ceiling light point and fitted wardrobes with sliding doors. being tiled from floor to ceiling and having frosted UPVC double glazed window to rear aspect. Double shower cubicle and pedestal wash hand basin, built-in airing cupboard housing the 'Glow Worm' combination boiler, coving to ceiling, ceiling light point and radiator. having frosted UPVC double glazed window to side aspect, low flush W.C., tiling from floor to ceiling, coving to ceiling, and ceiling light point. Having a paved patio area with the main garden being mainly laid to lawn with trees, shrubs and borders. Access door into the garage. Entered via double doors from the Side Passageway with lighting and power and four UPVC double glazed windows to side aspect. Shower Room and separate W.C.